NWT Hickling Broad01692 598276workWindmillNWT Hickling Broad is the largest Norfolk Broad and harbours a spectacular variety of plants and animals. There are gentle walks under wide skies for the casual visitor or fascinating study for those interested in swallowtail butterflies, bitterns, cranes, marsh harriers and other rare Broadland wildlife. Ideal for bird watching. The Water Trail takes you by boat through the quiet backwaters with breathtaking views of the Broads. It runs May to September weather permitting (additional charge). Visitor centre and toilets (one with wheelchair access), interpretive displays and refreshments. Bird watching hides overlooking pools. Boardwalk with way-marked trails suitable for wheelchairs, information boards and reserve leaflet. Wildlife Detective Bumbags for children are free to hire. Water Trail (additional charge, available summer only) takes you by boat across open water, through reeds to the base of the Tree Tower. From the top of the Tower is an amazing view of the Broads and coast. The Tree Tower is accessible only on the Water Trail. 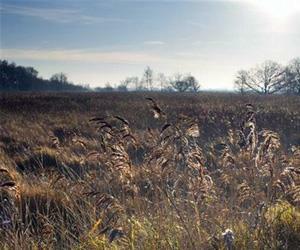 NWT Hickling Broad is the largest Norfolk Broad and harbours a spectacular variety of plants and animals. There are gentle walks under wide skies for the casual visitor or fascinating study for those interested in swallowtail butterflies, bitterns, cranes, marsh harriers and other rare Broadland wildlife. Ideal for bird watching. Stubb Mill is open for special events.